The MilBOX is intended for users who need a fully rugged mobile server that can withstand shock, vibration, humidity and temperature at Mil-STD 810F requirements. 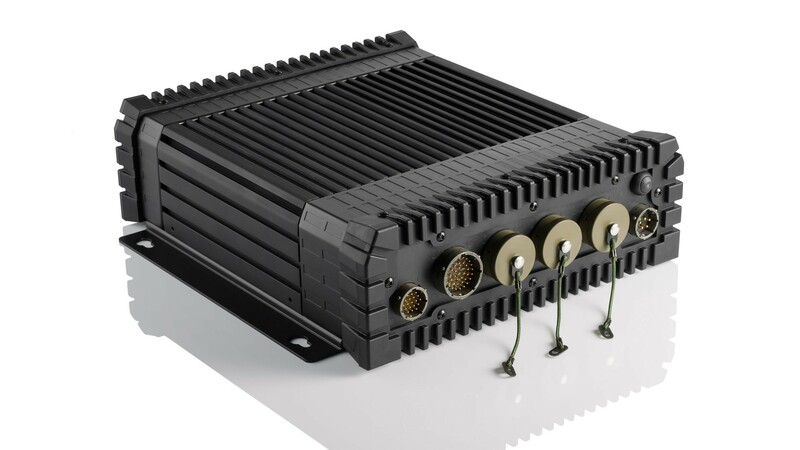 It has been designed for tight integration into military vehicles and other platform. Ideal for deployment in remote and harsh locations, this unit supports both AC and DC power inputs. Its modular design allows easy customizations and its conduction cooling system eliminates risk of faulty rotary fans. The MilBox is a small and fully sealed embedded server. It supports fully sealed Mil-Spec connectors for all interfaces. Using the International (or Ingress) Protection Code system for measuring enclosures' capabilities, the MilBOX is an IP65 rated server. In other words, this means complete protection from dust, oil, and more.